and the Great Green Universal Charter of Human Rights, 12 June 1988. The blood of all our Martyrs, and the hard labors and struggles of Mu’ammar al-Qathafi, have NOT been in vain ! “The covenant is still the right of the soil …. Zlam national nor Thaer diagonal. la vidéo de ‎ياتاريخ نبو تنصفنا ماتنساش عليك شهود‎. ‎ياتاريخ نبو تنصفنا ماتنساش عليك شهود‎ a téléchargé une nouvelle vidéo. la vidéo de ‎حسم الأمر‎ : ‎الصمود‎. God Almighty section Muammar is alive and Matalaa of mass Hduha supreme Matsamehonish to Adeneia etc was to Amatsh you in one day. قسما بالله العظيم معمر حي يرزق وماطلع من الجماهيرية وشدوها عليا وماتسامحونيش لادنيا لأخره كان ماطلعش عليكم في يوما ما. ‎حسم الأمر‎ a téléchargé une nouvelle vidéo : ‎الصمود‎. via television (channel fields) for Haddat on the latest security developments in Libya ..
On behalf of the Conqueror lives assets ..
We love you, Mu’ammar ! which will be through Tksiem # Libya. The longtime Pre-Planned Western Division of Libya by NATO (prior even to Nov 2010). 1 overlooked by the West on the existence of two governments, parliamentarians and armies to be a prelude to accept the division of public opinion at a later stage. 2 repeated calls by the West for dialogue, bringing together all the parties to resolve the crisis, which leak out that he would be on the principle of power-sharing and the sharing of land and potential wealth. These are some of the leaks what has been agreed upon during a meeting of Zionist Bernard Levy with Libyan elements in Tunisia. 3 delegitimize all entities in the inside of the governments and parliaments to push it towards the acceptance of the partition project. And also to create a vacuum state to highlight calls for separatism as a solution out of the crisis and wrap people around the leaders of these calls, each according to his district or his territory to be a reality imposed by the situation of “The popular expression”. 4 show more aware of during the last three years and filed by some of the groups and their attachment to their fanaticism and one flag on her account as a prelude to accept the popular division. 5 overlooked by the West on the predominance of terrorist groups for later use paper to put pressure on all parties to accept the division compared to intervene to eliminate these extremist groups, disarmament and security returns. 6 penetrate the grassroots supporters of the mass of the system by having different entities and try to penetrate to cause disagreements around and within them and prevent any attempt to convergence or cooperation among them, such as the National Movement and the tribes and groups of armed resistance. 7-bit as well as rumors and sow the seeds of dissension and discord among the grassroots through leaking saws and rumors and statements from some lurking and recruits and codification names in social networking. Third parties in order to pick them aware of what the media and beyond. Without understanding and awareness are shipped and move public opinion against this or that. Thus creating a side battles to be a comedy about the primary objective fundamental national issue. 8 of these differences that are created between the broad base if exacerbated. This will lead to the fragmentation of the majority and thawing inside entities and objects created by the West in the inside of the governments and parliaments of the regions and militias. And thus end up where those entities that are driven under the control and guardianship of the West. Libyan issue. This was actually with some in some countries that have a lot of calling the characters, whether public or leadership or the military and even the security and operation of some of them as informers under the pretext of understanding the Libyan case and gather information about what is happening on the scene and the Libyan ground politically. 10 penetrate into the large tribes and payment for the division teams each of which belongs to the party or the government and create some skirmishes and problems that lead to the deaths and the presence of revenge and congestion and to hide or remove or assassinate some dignitaries and sages to weaken it and prevent any harmony between its members and their families and social components. 11 judiciary, prosecution and Oalabtzaz threat to silence all national, religious and intellectual, and pan-Arab revolutionary symbols and distorted accusing it of corruption and treason or theft during the past decades to keep any impact or wrap it around her. The crowd behind the beneficiary or related to these figures. 13 Judaization region project, which led Alihodian Bernardleafa and Lausanne in agreement with some of the members of the Board transitional and continue with some of the characters, especially in Misurata to buy some real estate and vital sites and give the nationalities of a large number of Jews and falsification of official documents and change the names and the presence of some journalists and among some of the militias and security committees Arabic names. And advocacy of the Jewish religion at home to distribute some of the books and publish some of the rituals and symbols. And the promotion of lies on the street that the Jews are the origin of the population and that there is an ancient relate to Balomazag. 14 demolition of shrines and the burning of libraries and tampering with historical documents, which seems to the observer that he was returning to the thought of some extremist groups but the fact that within the Western conspiratorial scheme and instructed to some extremist leaders client to do. The aim is to hide any traces of figures and advocates who have been credited in previous centuries to spread Islam in the country, as well as commemorative symbols such as the Arab Gamal Abdel Nasser and the Libyan Jihad monument, monument-battles to try to blur the identity of the Arab and Islamic militancy and the country. 15 The last point is a serious and drafting a constitution in the absence of the existence of any state or institutions as it is now under the supervision of the entire West is manipulated so that some of the texts in preparation for the division and fragmentation such as not to emphasize the Arab character of the state and the Islamic religion. As well as playing on the water rights of minorities in the practice of rituals, language and self-determination. To be any future government bound and tied and unable to maintain the unity of the country. Can any group in accordance with the provisions of the Constitution to be separated from the state and the lack of affiliation with a national or religious or even ideologically and even gays and atheists may have rights and prevents the state punished or prosecuted in accordance with the provisions of the Constitution. It is the right of each of these groups to resort to international organizations and bodies and request intervention to protect them. 1 ﻏﺾ ﺍﻟﻄﺮﻑ ﻣﻦ ﻗﺒﻞ ﺍﻟﻐﺮﺏ ﻋﻠﻰ ﻭﺟﻮﺩ ﺣﻜﻮﻣﺘﻴﻦ ﻭﺑﺮﻟﻤﺎﻧﻴﻴﻦ ﻭﺟﻴﺸﻴﻦ ﻟﻴﻜﻮﻥ ﺗﻤﻬﻴﺪﺍ ﻟﻘﺒﻮﻝ ﺍﻟﺮﺃﻱ ﺍﻟﻌﺎﻡ ﺑﺎﻟﺘﻘﺴﻴﻢ ﻓﻲ ﻣﺮﺣﻠﺔ ﻗﺎﺩﻣﺔ . ﺍﻟﺼﻬﻴﻮﻧﻲ ﺑﺮﻧﺎﺭﺩﻟﻴﻔﻲ ﻣﻊ ﻋﻨﺎﺻﺮ ﻟﻴﺒﻴﺔ ﻓﻲ ﺗﻮﻧﺲ . 4 ﺇﻇﻬﺎﺭ ﺃﻛﺜﺮ ﻣﻦ ﻋﻠﻢ ﺧﻼﻝ ﺍﻟﺴﻨﻮﺍﺕ ﺍﻟﺜﻼﺙ ﺍﻷﺧﻴﺮﺓ ﻭﺭﻓﻌﻬﺎ ﻣﻦ ﻗﺒﻞ ﺑﻌﺾ ﺍﻟﻤﺠﻤﻮﻋﺎﺕ ﻭﺗﻌﻠﻘﻬﻢ ﺑﻬﺎ ﻭﺗﻌﺼﺒﻬﻢ ﻟﻬﺎ ﻋﻠﻰ ﺣﺴﺎﺏ ﺍﻟﺮﺍﻳﺔ ﺍﻟﻮﺍﺣﺪﺓ ﺗﻤﻬﻴﺪﺍ ﻟﻘﺒﻮﻝ ﺍﻟﺘﻘﺴﻴﻢ ﺷﻌﺒﻴﺎ . 5 ﻏﺾ ﺍﻟﻄﺮﻑ ﻣﻦ ﻗﺒﻞ ﺍﻟﻐﺮﺏ ﻋﻠﻰ ﺗﻐﻮﻝ ﺍﻟﺠﻤﺎﻋﺎﺕ ﺍﻹﺭﻫﺎﺑﻴﺔ ﻹﺳﺘﺨﺪﺍﻣﻬﺎ ﻓﻴﻤﺎ ﺑﻌﺪ ﻭﺭﻗﺔ ﻟﻠﻀﻐﻂ ﻋﻠﻰ ﻛﻞ ﺍﻷﻃﺮﺍﻑ ﺑﻘﺒﻮﻝ ﺍﻟﺘﻘﺴﻴﻢ ﻣﻘﺎﺑﻞ ﺍﻟﺘﺪﺧﻞ ﻟﻠﻘﻀﺎﺀ ﻋﻠﻲ ﻫﺬﻩ ﺍﻟﺠﻤﺎﻋﺎﺕ ﺍﻟﻤﺘﻄﺮﻓﺔ ﻭﻧﺰﻉ ﺍﻟﺴﻼﺡ ﻭﺃﺭﺟﺎﻉ ﺍﻷﻣﻦ . 6 ﺇﺧﺘﺮﺍﻕ ﺍﻟﻘﺎﻋﺪﺓ ﺍﻟﻌﺮﻳﻀﺔ ﻣﻦ ﺍﻟﻤﺆﻳﺪﻳﻦ ﻟﻠﻨﻈﺎﻡ ﺍﻟﺠﻤﺎﻫﻴﺮﻱ ﻣﻦ ﺧﻼﻝ ﻭﺟﻮﺩ ﻛﻴﺎﻧﺎﺕ ﻣﺨﺘﻠﻔﺔ ﻭﻣﺤﺎﻭﻟﺔ ﺇﺧﺘﺮﺍﻗﻬﺎ ﻹﺣﺪﺍﺙ ﺧﻼﻓﺎﺕ ﺣﻮﻟﻬﺎ ﻭﻓﻲ ﺩﺍﺧﻠﻬﺎ ﻭﻣﻨﻊ ﺃﻱ ﻣﺤﺎﻭﻟﺔ ﻟﻠﺘﻘﺎﺭﺏ ﺃﻭ ﺍﻟﺘﻌﺎﻭﻥ ﺑﻴﻨﻬﺎ ﻣﺜﻞ ﺍﻟﺤﺮﻛﺔ ﺍﻟﻮﻃﻨﻴﺔ ﻭﻣﺆﺗﻤﺮ ﺍﻟﻘﺒﺎﺋﻞ ﻭﻣﺠﻤﻮﻋﺎﺕ ﺍﻟﻤﻘﺎﻭﻣﺔ ﺍﻟﻤﺴﻠﺤﺔ . 7 ﻛﺬﻟﻚ ﺑﺖ ﺍﻹﺷﺎﻋﺎﺕ ﻭﺍﻟﻔﺘﻦ ﻭﺯﺭﻉ ﺑﺬﻭﺭ ﺍﻟﺸﻘﺎﻕ ﻭﺍﻟﺨﻼﻑ ﺑﻴﻦ ﻫﺬﻩ ﺍﻟﻘﺎﻋﺪﺓ ﺍﻟﻌﺮﻳﻀﺔ ﻣﻦ ﺧﻼﻝ ﺗﺴﺮﻳﺐ ﻣﻨﺎﺷﻴﺮ ﻭﺷﺎﺋﻌﺎﺕ ﻭﺑﻴﺎﻧﺎﺕ ﻣﻦ ﺑﻌﺾ ﺍﻟﻤﻨﺪﺳﻴﻦ ﻭﺍﻟﻤﺠﻨﺪﻳﻦ ﻭﺍﻷﺳﻤﺎﺀ ﺍﻟﻜﻮﺩﻳﺔ ﻓﻲ ﺷﺒﻜﺔ ﺍﻟﺘﻮﺍﺻﻞ ﺍﻹﺟﺘﻤﺎﻋﻲ . ﻟﻜﻲ ﻳﻠﺘﻘﻄﻬﺎ ﺍﻹﻋﻼﻡ ﺍﻟﻐﻴﺮ ﻣﺪﺭﻙ ﻟﻤﺎ ﻭﺭﺍﺋﻬﺎ . ﻭﺑﺪﻭﻥ ﻓﻬﻢ ﻭﻭﻋﻲ ﻳﺘﻢ ﺷﺤﻦ ﻭﺗﺤﺮﻳﻚ ﺍﻟﺮﺃﻱ ﺍﻟﻌﺎﻡ ﺿﺪ ﻫﺬﺍ ﺃﻭ ﺫﺍﻙ . ﻭﺑﺎﻟﺘﺎﻟﻲ ﺧﻠﻖ ﻣﻌﺎﺭﻙ ﺟﺎﻧﺒﻴﺔ ﺗﻜﻮﻥ ﻣﻠﻬﺎﺓ ﻋﻦ ﺍﻟﻬﺪﻑ ﺍﻷﺳﺎﺳﻲ ﻭﺍﻟﻘﻀﻴﺔ ﺍﻟﻮﻃﻨﻴﺔ ﺍﻷﺳﺎﺳﻴﺔ . 8 ﻫﺬﻩ ﺍﻟﺨﻼﻓﺎﺕ ﺍﻟﺘﻲ ﻳﺘﻢ ﺧﻠﻘﻬﺎ ﺑﻴﻦ ﺍﻟﻘﺎﻋﺪﺓ ﺍﻟﻌﺮﻳﻀﺔ ﺇﺫﺍ ﺃﺳﺘﻔﺤﻠﺖ . ﺍﻟﻘﻀﻴﺔ ﺍﻟﻠﻴﺒﻴﺔ . ﻭﻫﺬﺍ ﻓﻌﻼ ﺗﻢ ﻣﻊ ﺍﻟﺒﻌﺾ ﻓﻲ ﺑﻌﺾ ﺍﻟﺪﻭﻝ ﺍﻟﺘﻲ ﻗﺎﻣﺖ ﺑﺈﺳﺘﺪﻋﺎﺀ ﺍﻟﻜﺜﻴﺮ ﻣﻦ ﺍﻟﺸﺨﺼﻴﺎﺕ ﺳﻮﺍﺀ ﺍﻟﻘﻴﺎﺩﻳﺔ ﺃﻭ ﺍﻟﻌﺎﻣﺔ ﺃﻭ ﺍﻟﻌﺴﻜﺮﻳﺔ ﻭﺣﺘﻰ ﺍﻷﻣﻨﻴﺔ ﻭﺗﺸﻐﻴﻞ ﺑﻌﻀﻬﻢ ﻛﻤﺨﺒﺮﻳﻦ ﺑﺤﺠﺔ ﻓﻬﻢ ﺍﻟﻘﻀﻴﺔ ﺍﻟﻠﻴﺒﻴﺔ ﻭﺟﻤﻊ ﺍﻟﻤﻌﻠﻮﻣﺎﺕ ﺣﻮﻝ ﻣﺎﻳﺠﺮﻱ ﻋﻠﻰ ﺍﻟﺴﺎﺣﺔ ﺍﻟﻠﻴﺒﻴﺔ ﻣﻴﺪﺍﻧﻴﺎ ﻭﺳﻴﺎﺳﻴﺎ . 10 ﺍﻟﺘﻐﻠﻐﻞ ﺩﺍﺧﻞ ﺍﻟﻘﺒﺎﺋﻞ ﺍﻟﻜﺒﻴﺮﺓ ﻭﺍﻟﺪﻓﻊ ﻹﻧﻘﺴﺎﻣﻬﺎ ﻟﻔﺮﻕ ﻛﻞ ﻣﻨﻬﺎ ﻳﻨﺘﻤﻲ ﻟﺠﻬﺔ ﺃﻭ ﺣﻜﻮﻣﺔ ﻭﺧﻠﻖ ﺑﻌﺾ ﺍﻟﻤﻨﺎﻭﺷﺎﺕ ﻭﺍﻟﻤﺸﺎﻛﻞ ﺍﻟﺘﻲ ﺗﺆﺩﻱ ﻟﺴﻘﻮﻁ ﻗﺘﻠﻰ ﻭﻭﺟﻮﺩ ﺛﺎﺭﺍﺕ ﻭﺃﺣﺘﻘﺎﻥ ﻭﺍﻟﻌﻤﻞ ﻋﻠﻰ ﺇﺧﻔﺎﺀ ﺃﻭ ﺇﺑﻌﺎﺩ ﺃﻭ ﺃﻏﺘﻴﺎﻝ ﺑﻌﺾ ﺍﻟﻮﺟﻬﺎﺀ ﻭﺍﻟﺤﻜﻤﺎﺀ ﻹﺿﻌﺎﻓﻬﺎ ﻭﻣﻨﻊ ﺃﻱ ﻭﻓﺎﻕ ﺑﻴﻦ ﺃﻓﺮﺍﺩﻫﺎ ﻭﻋﺎﺋﻼﺗﻬﺎ ﻭﻣﻜﻮﻧﺎﺗﻬﺎ ﺍﻹﺟﺘﻤﺎﻋﻴﺔ . 11 ﺍﻟﻘﻀﺎﺀ ﺃﻭ ﺍﻟﻤﻼﺣﻘﺔ ﺃﻭﺍﻹﺑﺘﺰﺍﺯ ﻭﺍﻟﺘﻬﺪﻳﺪ ﻹﺳﻜﺎﺕ ﻛﻞ ﺍﻟﺮﻣﻮﺯ ﺍﻟﻮﻃﻨﻴﺔ ﻭﺍﻟﺪﻳﻨﻴﺔ ﻭﺍﻟﻔﻜﺮﻳﺔ ﻭﺍﻟﻌﺮﻭﺑﻴﺔ ﻭﺍﻟﺜﻮﺭﻳﺔ ﻭﺗﺸﻮﻳﻬﻬﺎ ﺑﺈﺗﻬﺎﻣﻬﺎ ﺑﺎﻟﺨﻴﺎﻧﺔ ﺃﻭ ﺍﻟﻔﺴﺎﺩ ﻭﺍﻟﺴﺮﻗﺔ ﺧﻼﻝ ﺍﻟﻌﻘﻮﺩ ﺍﻟﻤﺎﺿﻴﺔ ﻹﺑﻌﺎﺩ ﺃﻱ ﺗﺎﺛﻴﺮ ﻟﻬﺎ ﺃﻭ ﺇﻟﺘﻔﺎﻑ ﺣﻮﻟﻬﺎ . ﻭﺧﻠﻔﻬﺎ ﺍﻟﺠﻤﻮﻉ ﺍﻟﻤﺴﺘﻔﻴﺪﺓ ﺃﻭ ﺍﻟﻤﺘﻌﻠﻘﺔ ﺑﻬﺬﻩ ﺍﻟﺸﺨﺼﻴﺎﺕ . 13 ﻣﺸﺮﻭﻉ ﺗﻬﻮﻳﺪ ﺍﻟﻤﻨﻄﻘﺔ ﻭﺍﻟﺬﻱ ﻗﺎﺩﻩ ﺍﻟﻴﻬﻮﺩﻳﺎﻥ ﺑﺮﻧﺎﺭﺩﻟﻴﻔﻲ ﻭﻟﻮﺯﺍﻥ ﺑﺎﻹﺗﻔﺎﻕ ﻣﻊ ﺑﻌﺾ ﺃﻋﻀﺎﺀ ﺍﻟﻤﺠﻠﺲ ﺍﻹﻧﺘﻘﺎﻟﻲ ﻭﺃﺳﺘﻤﺮ ﻣﻊ ﺑﻌﺾ ﺍﻟﺸﺨﺼﻴﺎﺕ ﻭﺧﺎﺻﺔ ﻓﻲ ﻣﺼﺮﺍﺗﻪ ﺑﺸﺮﺍﺀ ﺑﻌﺾ ﺍﻟﻌﻘﺎﺭﺍﺕ ﻭﺍﻟﻤﻮﺍﻗﻊ ﺍﻟﺤﻴﻮﻳﺔ ﻭﺇﻋﻄﺎﺀ ﺍﻟﺠﻨﺴﻴﺎﺕ ﻟﻌﺪﺩ ﻛﺒﻴﺮ ﻣﻦ ﺍﻟﻴﻬﻮﺩ ﻭﺗﺰﻭﻳﺮ ﺍﻟﻮﺛﺎﺋﻖ ﺍﻟﺮﺳﻤﻴﺔ ﻭﺗﻐﻴﻴﺮ ﺍﻷﺳﻤﺎﺀ ﻭﻭﺟﻮﺩ ﺑﻌﻀﻬﻢ ﻛﺼﺤﻔﻴﻴﻦ ﻭﺿﻤﻦ ﺑﻌﺾ ﺍﻟﻤﻠﻴﺸﻴﺎﺕ ﻭﺍﻟﻠﺠﺎﻥ ﺍﻷﻣﻨﻴﺔ ﺑﺄﺳﻤﺎﺀ ﻋﺮﺑﻴﺔ . ﻭﺍﻟﺪﻋﻮﺓ ﻟﻠﺪﻳﺎﻧﺔ ﺍﻟﻴﻬﻮﺩﻳﺔ ﻓﻲ ﺍﻟﺪﺍﺧﻞ ﺑﺘﻮﺯﻳﻊ ﺑﻌﺾ ﺍﻟﻜﺘﺐ ﻭﻧﺸﺮ ﺑﻌﺾ ﺍﻟﻄﻘﻮﺱ ﻭﺍﻟﺮﻣﻮﺯ . ﻭﺍﻟﺘﺮﻭﻳﺞ ﻷﻛﺎﺫﻳﺐ ﻓﻲ ﺍﻟﺸﺎﺭﻉ ﺑﺄﻥ ﺍﻟﻴﻬﻮﺩ ﻫﻢ ﺃﺻﻞ ﺍﻟﺴﻜﺎﻥ ﻭﺃﻥ ﻫﻨﺎﻙ ﻋﻼﻗﺔ ﻗﺪﻳﻤﺔ ﺗﺮﺑﻄﻬﻢ ﺑﺎﻷﻣﺎﺯﻳﻎ . ﺍﻟﻔﻀﻞ ﻓﻲ ﻗﺮﻭﻥ ﺳﺎﺑﻘﺔ ﻟﻨﺸﺮ ﺍﻹﺳﻼﻡ ﺑﺎﻟﺒﻠﺪ ﻭﻛﺬﻟﻚ ﺍﻟﻨﺼﺐ ﺍﻟﺘﺬﻛﺎﺭﻳﺔ ﻟﻠﺮﻣﻮﺯ ﺍﻟﻌﺮﺑﻴﺔ ﻣﺜﻞ ﺟﻤﺎﻝ ﻋﺒﺪﺍﻟﻨﺎﺻﺮ ﻭﻧﺼﺐ ﻣﻌﺎﺭﻙ ﺍﻟﺠﻬﺎﺩ ﺍﻟﻠﻴﺒﻲ ﻟﻤﺤﺎﻭﻟﺔ ﻃﻤﺲ ﻫﻮﻳﺔ ﺍﻟﺒﻼﺩ ﺍﻟﻌﺮﺑﻴﺔ ﻭﺍﻹﺳﻼﻣﻴﺔ ﻭﺍﻟﻨﻀﺎﻟﻴﺔ . and did not We live in a secular state of Turkey as a state in order to announce the succession of good and condemn all of us to Baghdadi in Mesopotamia to give us our choice !! Bin Humaid, Al-Zahawi as Abu Ubaida. In the mid-nineties of the last century when it was the Libyan state treatment improved with these groups, were holed up in the mountains, calling itself Takfir. wal Immigration and slogan had come today to achieve, (Nohger countryside and cities will not go back to it, but conquerors) as each community infidel. Here is Libya now witnessing a time conquests, dreaded blood and the smell of gunpowder. Mu’ammar called them the” wild men of the caves” who lived in the Green Mountain ancient caves. They now invaded and reside in Benghazi, as “Ansar al-Sharia”. Now warplane hovering over the sky and mil Janzour and hunter. because the city is totally ‘out of control’, and the decision was made at gunpoint. President of the Court and the Constitutional Council to dissolve what is called the MAJLIS al-Nuwaab (House). (in TRIPOLI) instead of the MAJLIS al-Nuwaab (House at TOBRUK), as legitimacy for LIBYA !! 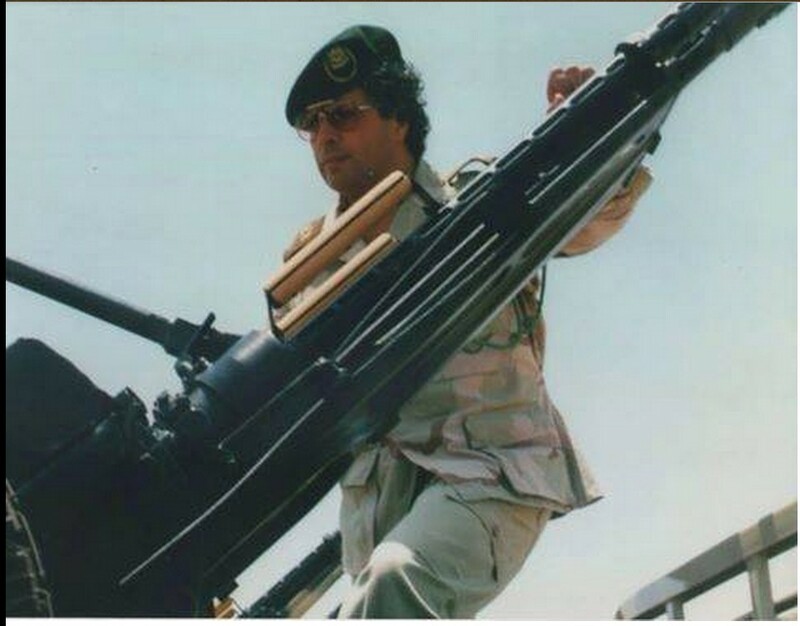 Court rule 300 military vehicles Atoqunha imposed on Tripoli re-Spirit Conference Allaotunai which came with the blessing of boastful ‘court’s decision’ on the items and resolutions and constitutional amendments ‘Haya of his own making and approval’…. 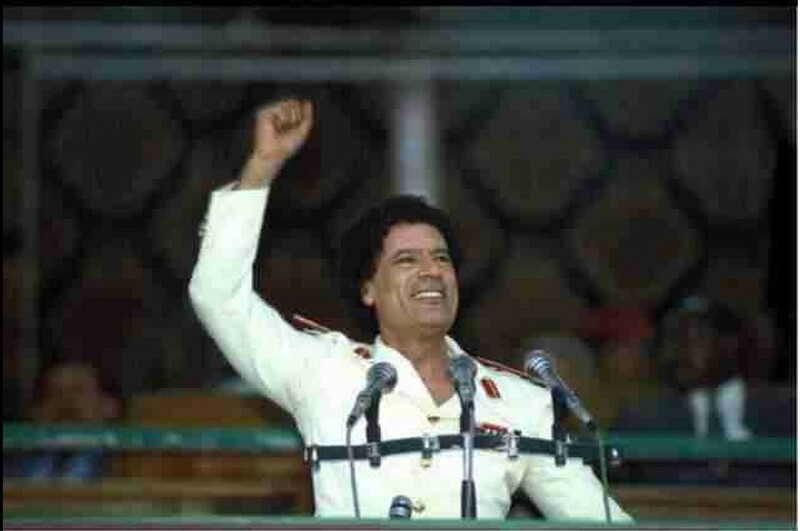 Stsgelo Bosmekm owners era in the history of the abuses Libya Aashidado prospects. The burning of the home of the Constitutional Judge, “Bashir Riani” After he totally withdrew himself from the Constitutional Court yesterday, when the decision went in favor of the ‘Muslim’ Brotherhood and the Allaotunai Congress”, which he deplores. in Libya called the dissolution of the MAJLIS al-Nuwaab (House in Tobruk) and the invalidity of legitimacy ! before 4 forest cases of hospital (TRIPOLI Medical Center). Large armed convoys spread far inside Tripoli coming from the direction of Nasser University Track and Misurata militias stationed in all neighborhoods of Tripoli. in the area of # al-Fornaj, Tripoli. directly result in injury to two vehicles armed and firetrucks rushing now to the incident site. Ali Liberal inside Tripoli careful eye of the Ministry of Road and Spring Valley Road and Ammi Salahuddin gates scattered. Release in Zintan, for huge group of prisoners from our “armed forces of the Great Jamahiriya”. Operations | Libyan armed forces advancing on several axes of the western mountain, and the arrival of support for the troops stationed west of the city of Gharyan # in preparation for a strong battle to enter the city of 4 axes. Maady crossroads things under control T-corner and there is a well Tervas spin violent clashes between tribal–troops and Brotherhood militia armor. Brigade and Rishvana now engaged in the fiercest battles in the south corner Hlgodh. Allahu Akbar Allahu Akbar Allahu Akbar troops advancing Ptjah corner. Our troops were combing the area south Aharart corner ..
Today’s attack in the name of the martyr Bashir Abuamad. by the Libyan National Army brigade and Rishvana. Embarak Hamidi tribe of the sons and Rishvana Mujahid. Navigate to the mercy of God symbolic Dawi and ask God that Ihtsabh of martyrs. And inflicted a heavy toll, and the sheep of the number of vehicles in South Hlgodh corner. other al-Hachan Embarak cited in today axis crushers. Oh God, forgive them and merciful Lord, and settled them in a roomy Jnatk. Embarak martyr hero who was killed today in southern corner ..
Mtfhh corpse in one of the armored vehicles trace the ‘dawn o Libya’ Melcaat which sought refuge in escape. Through our correspondent now ..
and horror just by bombing them locusts …. where the statement contained a disastrous numbers of what happened to him if institutions and medical centers and Alkhaddmah. vakdt Statistics contained the statement that tens of thousands of medical and medical assistance crews, and managers and administrators, in the case of a complete inability to attend to their work in public and private hospitals, clinics and clinics and various centers. Addressed several statistics statement confirmed that the 51 private and 56 laboratory medically and 368 private pharmacy clinic closed, and 84 unit primary health care and 41 health centers and 14 clinics. Aaoaúah especially empty of patients, and the undecided upon the impossibility of the arrival of doctors and support personnel and the inability of health services that. The council’s statement, which called for everyone to take responsibility, and the need to work to lift this injustice, stressed that what he suffered the health sector is to sabotage the process of systematic and deliberate Hdfhaa; depriving the population of the area of ​​access to medication and treatment of various health services, saying such acts are wasting and destruction to the capabilities of the entire Libyan people and not sons only the region. Win your love for the land of reasonable thorns underestimate you, your land Tkhaloha and Tqta displaced people in your country and displaced in Tunisia reasonable ground thorns Tnhan and Nqta Nstanoa the help of al-Rajaban and Zintan. and only Jpetkm word displaced Ianasna attributed to your land Rahe calls from Bihrrha you and others you men Azutea and pride Kllona Nkonowa Ed and one Ndavawa on our land and our honor and reputation in higher Nkhaloa because it Rishvana who paid the price for her love men and eluted Ndfawa. Strong clashes in al-Azizia area and cortex and Zayat. Vcef violent in various places by the ‘brigade and Rishvana’. MB Misurata militia forces stationed in the town of al-Azizia gatherings. Azizia) O hurry Do not delay. Strong clashes in al-Azizia area and cortex and Zayat …. Allahu Akbar Allahu Akbar Allahu Akbar .. Renewed clashes in Nasiriyah area now. Clashes in the vicinity of Nasiriyah and cuticle area. to enter the area of ​​Nasiriyah. The bombing of the number 5 tank cars and 2 lobster today in Bir Ben C. surroundings Nasiriyah . from Benjam Nasiriyah area only 5 km. .
near Nasiriyah area west # # Azizia. And when the army advanced cortex area and Zayat and temperatures. but in the news says the axis Azizia. Here he has learned Aikberna Wayne Select. after a dispute between them and the militias Ali Abu Obeida al-Dkhaúr. Abdullah Senusi Libyan intelligence official of the The Great Jamahiriya, entered an indefinite hunger strike four days ago. He informed the gate sources that Sanusi went on hunger strike in response to the insults that displays it at a Misurata prison after he was flown there by gunmen. The sources added that Sanusi exposure beatings and insults after refusing to obey the demand of the leaders of the process associated with the ‘dawn Libya’ and making statements television channel Misrata, lies primarily aims include both Egypt and the United Arab Emirates. The sources pointed out that the parties asked Sanusi after making statements that are dictated it, but he refused to do so, making him vulnerable to insults which make successive hits for food. they are want to obliterate our identity … and to Arjaana Middle Ages .. .
Misurata which arrests in prisons all tribes and cities … the sons of Misurata, which considers itself a policeman Libya. ..musrath that cordoned off and imposed their decisions on all Libyans … Misurata that you want to divide Libya … Misurata and Misurata …. and all the world knows that we Zd violations and terrorism practiced against the honorable and cities … less what he has done this so that everyone knows that we are against it …. .ouhml group blades …. الي كل الشرفاء الوطنيين ..الصادقين …سواء كانوا ….الجماهيريوون او الفبراريوون …الشرفاء الصادقين ….الحقيقيين …ان ليبيا ضائعه ..انهم يريدون طمس هويتنا …وارجاعنا الي العصور الوسطي …اصحوا ايها الشرفاء مصراته تحتضن الارهاب والدروع والاخوان ….مصراته التي صعدت علي شرف نسائها (المغتصبات ) مصراته التي هجرت كل المدن والقبائل …مصراته التي تعتقل في سجونها كل ابناء القبائل والمدن…مصراته التي تعتبر نفسها شرطي ليبيا …مصراته التي طوقت وفرضت قراراتها علي كل الليبيين …مصراته التي تريد تقسيم ليبيا …مصراته ومصراته …. اذا كنتم وطنيين حقا …ساهموا معنا في نشر وفضح وتوحيد صورة البروفايل الخاصه بطرد مصراته من ليبيا …وليعلم العالم جميعا باننا ظد الانتهاكات والارهاب الذي تمارسه ضد الشرفاء والمدن …هذا اقل مافعله كي يعلم الجميع باننا ضدها …..وحمل الجماعة ريش …. Musa Barasi was found dead in the area. His body was carried to al-Briar, then to Prairie Hospital. Armed clashes perimeter security directorate and Venice Street. ‘the Constitutional Court’ to dissolve their MAJLIS al-Nuwaab (House in Tobruk). in the elimination of terrorist groups in the process of this region with a comb underway within the city. Unity Bank in al-Sabri bombed ! Libyan army controlled area in al-Sabri, Benghazi after bloody clashes with MB militants .. Violent clashes in the path of the river. please stay away from Soda Kia car in place. This has been the dismantling of the car bomb today in the land of Blon. make an attack on the oil field in the spark of Ubari. Libyan army forces and they respond with full force. ‎لواء القعقاع الزنتان‎ a partagé la vidéo de ‎قناة الزنتان الفضائية‎. al-Mnchaet guard with these bands in the vicinity of the area. 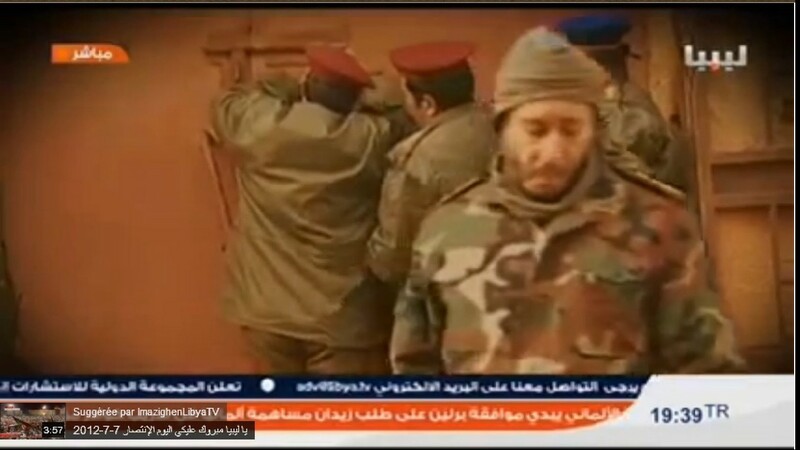 Zintan brigade Qaqaa a partagé la vidéo de Zintan TV channel. Spark field today …. Hovoa launched what is known as they marched around the Baksorh …. Steal all the mechanisms field ….. imaging of the heart of the event. an anonymous caller to a set of) visually souls (in Ubari and told them that the third force will come to the field and downloaded robbery. They introduced on the field at midday .. and did not hand over any machine walk on four … then entered some offices and some closets and stole some collectibles … so we stop production Balkamil.dkhalt calculated military force to protect the Tuareg field and was able to put an end to them and if it is simple. and this problem should not be calculated on the Tuareg. Created as a field in the area of ​​influence of the other hand. Leave things to the mastermind of things and waiting tomorrow. حقل الشرارة اليوم …. شوفوا شن داروا فيه ما يعرف بقسورة …. Spark field day stealing all the mechanisms by ‘Melcaat Roma Libya’. imaging of the heart of the event. Brat MB Kid Mohammed Boca Oraibi threatens President Sisi !! We have come to the stage of the futility of mice with black. Major SAADI is in TUNISIA. He is not in prison. He gave an Interview in JUNE 2014. Hundreds of thousands of Libyans fled to Tunisia after the 2011 NATO-backed counter-revolution. A visit with those who mourn the fallen leader of the Al Fateh revolution, including his relatives. TUNIS — He has the same curly mid-length hair, the same matte skin, the same sharp-eyed look. The likeness is unsettling. He says his name with a husky voice: “Saadi Muammar Gaddafi.” Sitting here on the terrace of a Tunis cafe is the 39-year-old son of former Libyan leader Muammar Gaddafi. Like thousands of men and women, he fled his country three years ago and is now among those essentially turning Tunisia into a giant refugee camp. Here, there are no tents and no humanitarian organizations. But Libyan families, growing in number every day, are occupying entire buildings in several Tunis areas, or in cities such as Hammamet, Sousse, Nabeul and Gabès. And their situation is deteriorating. There are between 600,000 and a million displaced, the Tunisian Interior secretary estimates. Taking into account Libyans who have fled to Egypt, there are some two million Libyan citizens living outside the country’s borders. It’s an astounding figure considering that the entire population of Libya numbers only about six million. Recognizing this phenomenon, the Libyan government financed the opening of five schools in Tunisia this year. “They are free, and we are trying to integrate as many Libyan children as we can,” explains Fathi Buchaala, cultural attaché at the Libyan Embassy in Tunis. 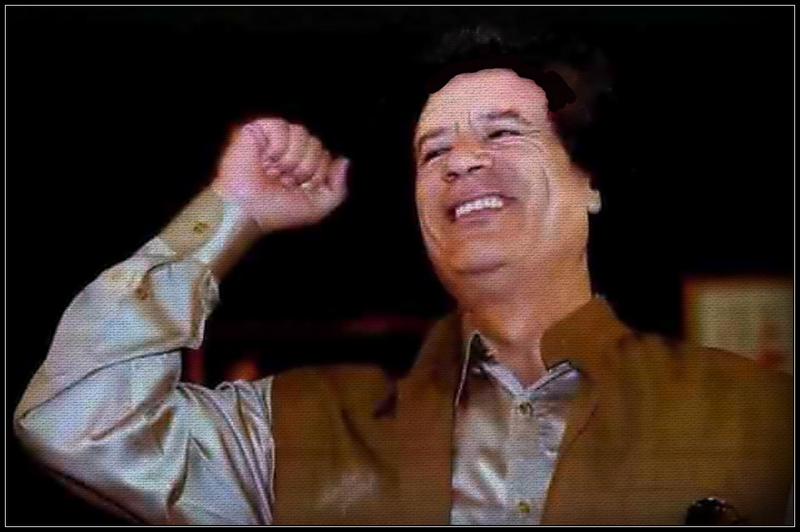 Gaddafi is certainly everywhere at Chahd’s house. 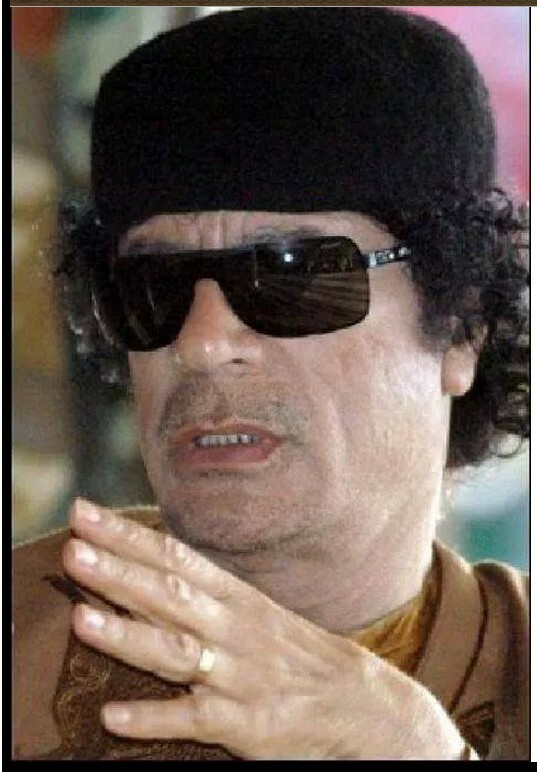 Around her neck as a locket, on a poster in the living room, on the pro-Gaddafi satellite channel that continuously broadcasts war scenes, rebel exactions, and speeches by the former Libyan leader. Chahd, 32, fled Tripoli. “I didn’t think that I would survive,” the young lady whispers. After “pacifist” protests for the former regime, she finally joined the army before being captured by rebels on Aug. 28, 2011. “I was in several prisons over about three months,” she explains. “The first, Tajoura, was the worst.” She recounts how a militia leader raped her repeatedly over the course of five days, and she describes being hit with pipes. If the jailed leader’s son and heir apparent Saïf Al-Islam were to somehow return, that could heal some wounds. “If not, I cannot imagine the hatred of those who still are in jails,” she says. 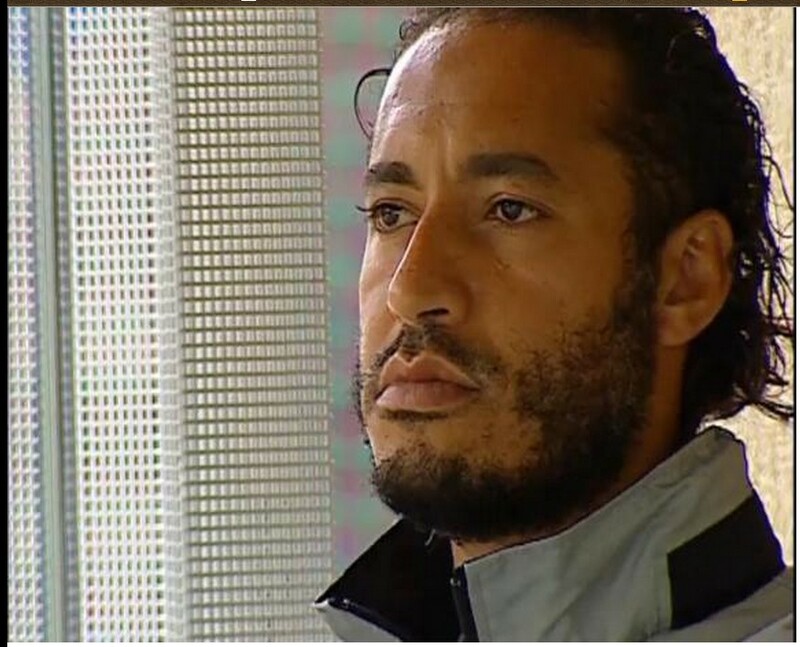 Thirty-two-year-old Atef, who is from Zenten, Libya, says he used to work for a “humanitarian association” with Saïf Al-Islam Gaddafi, and his brothers had “highly placed jobs in companies” under the former regime. Atef says he paid 50,000 Tunisian dinars (around 27,595.27€) to cross the Tunisian border in Ras Jdir. He ultimately sent his wife and three children back to Libya five months ago. “I could not assure them a good way of life,” Atef says. “I am not the only one. I even know a cafe where Libyan women prostitute themselves to survive. Now, we Libyans, we don’t have any value in any country. Everything is Sarkozy’s fault,” he says, referring to former French President Nicolas Sarkozy, who is believed to have given orders to the French secret agent who killed the Libyan leader. In Tunisia, rental prices have exploded, in part because of so many Libyan refugees. Without official papers, residence cards or work permits, they are simply tolerated. Over the course of three years, just 1,000 resident cards have been delivered, mostly for business company owners, says Mohamed Ali Aroui, spokesman for Tunisian Ministry of the Interior. Gaddafi’s hometown is now a “living hell,” as it has become the stronghold for the radical Islamist group Ansar al-Sharia, says a Gaddafi tribe member named Abdelmonaïm who arrived in Tunis in May. He was arrested in Tripoli and jailed for two months at the end of the war. “Every day, kids turned up with electric wires and hit us,” he recalls. This entry was posted in Actualités et politique, History, Mankind, Music Videos and tagged bani walid, Cyrenaica, dirty MISURATA, EGYPT, Mu''ammar al-Qathafi, SOUTH LIBYA, TARHOUNA, TRIPOLI, WESTERN REGION. Bookmark the permalink.